Views from the loch. : Muppets, the saga continues! 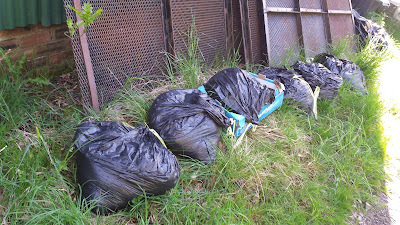 Photo 01 - 5 bags of cut grass deposited at Summerhope! Mr Xxxxx phoned midweek with some troubling but not unexpected news. 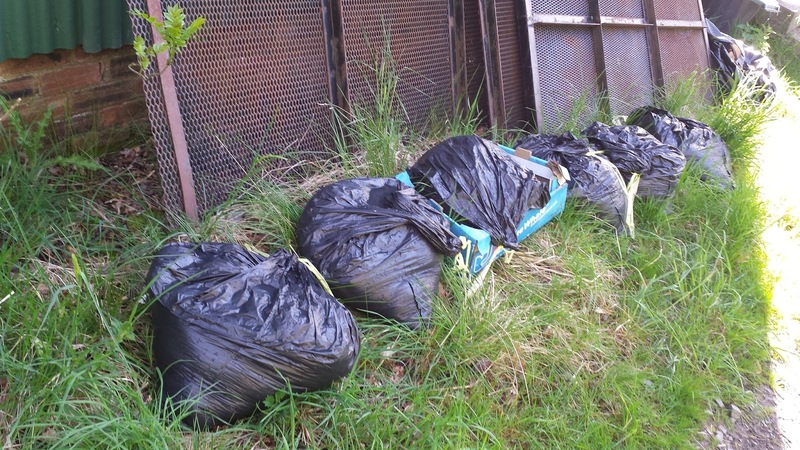 A group of five “anglers” from the Livingstone area left behind them what could only be described as the beginnings of an illegal landfill site! They arrived under the banner of anglers but left under the title above Muppets and Wastrels! Unfortunately we cannot trace these individuals due to insufficient details on their permits having been sold by a third party seller! What motivates these Muppets is beyond my ken. What is it that makes the leaving of huge amounts of rubbish acceptable, I do not know! They obviously do not think of the individuals that have to give of their own time clearing up the mess, in this case Keith! Our policy is to expose fools and Muppets but since we do not have any details on them we can only do this on a limited basis! Me Xxxxx has let us know that he would like these idiot banned from fishing and we are in full agreement! So if you read this chaps do not come back you are no longer welcome at our lochs! 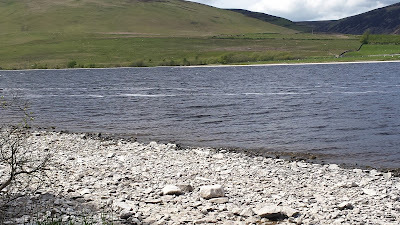 In another incident last week one “angler” was found to be wandering around Bowerhope with a catapult firing at god what. This is completely unacceptable behaviour with the potential for injuring stock or indeed humans! They had hired a boat and Mr Xxxxx was there to greet them on their return. On questioning the individual he said that he was firing at a ram as it was getting too close to him and he felt threatened! After explaining the serious errors in their behaviour Mr Xxxxx felt there was no alternative but to bar them from fishing! In addition to the incident the anglers were 45mins late and were an hour late in returning to the boathouse giving Mr Xxxxx 2 hours of extra work! So the Muppet season barely started and already seven “anglers” barred from fishing. It’s not looking good! Yet another incident this week saw 5 bags of rubbish dumped over a wall at Summerhope by persons unknown! The haul consisted of 5 bags full of freshly cut grass and a cardboard box! Doubtless this is the result of the local council’s decision to no longer collect garden waste! Grass is biodegradable it makes excellent compost or can be dumped under a hedge to feed that hedge over the space of a year. Why bag it and dump it? When we allowed comments on our blog it became apparent very quickly there are many Muppets out there, looks like there are more than we thought! 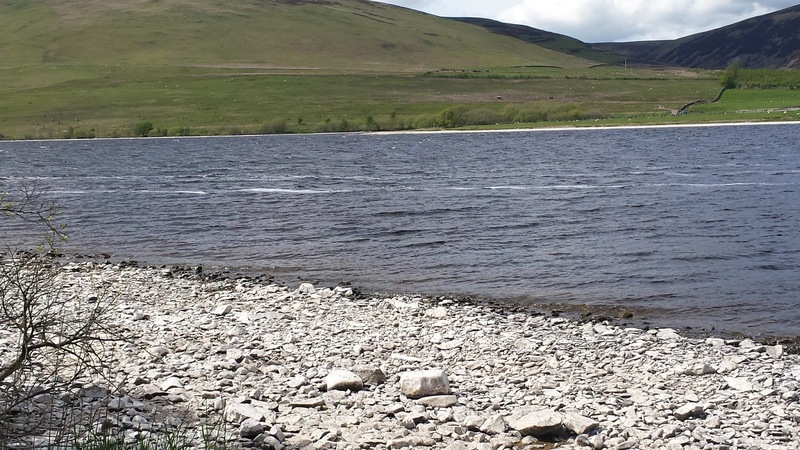 Photo 02 - Contractors lowering the level of the loch! Our unexpected team fished on Tuesday evening against two anglers from Duns. The chosen team of Stevie Nimmo and Pete Young had to be changed at the last minute as Pete had done his back in so I had to step in and take his place. It was a dour cold night with only two fish seen breaking the surface and only the odd swallow looking for food. I tried dry’s for the first hour managing to rise nothing! As to matching the hatch there was nothing to match so I went for spiders and olives. Both me and my fishing partner religiously went through our fly boxes to no avail and it was only around 21.30 that my line went tight quickly retrieving what I am told was an appetiser! My partner quickly changed to a similarly coloured “minky tail” and promptly hooked two fish and then it went dead again. At the weigh in the other boat saw Stevie with two fish and his partner with 3 fish! We weighed in around 6lbs and the Dun’s lads at 9lbs. I also learned how to do the roly poly retrieve a useful tool for the plastic fisher! Not the most enthralling evenings fishing I’ve ever had but it was good company with two real anglers with no bullies or Muppets in sight! Well done Duns! Great deals on the net! Puppet Carmichael or Billy Liar! Funny how it all comes out in the wash, Scotland’s only Puppet MP Puppet Carmichael now found out to be lying over the smearing of Nicola Sturgeon in the run up to the election! He has declined to accept the pay off entitled to him for being the Tory puppet in charge of Scottish affairs! That however is not enough, he committed the most serious of offences seen all too often in puppets that of being an outright liar! A campaign has started to oust him as an MP which is fair enough, but if puppet Carmichael had any sense of propriety he would resign immediately! He has betrayed the electorate just like his leader the king of liars puppet Clegg, and must pay the price! He is desperately trying to hang on and legally may be entitled to do so. The fact remains however he has lost all credibility and the electorate would think more of him if he did the right thing and bowed out under a cloud! There is no question the puppets days are numbered he should accept his wrongdoing and go, if a by election was held he would be ousted no problem! The Puppets were finished the moment they got into bed with the vile Tories Puppet Carmichael is simply the last nail in the coffin! Lewis Hamilton – a sportsman? This is a thought that came to mind last week on hearing of the rumoured 300 million pound contract reportedly paid by Mercedes to secure his services for the next few years. Firstly the sum of money involved is nothing short of scandalous and reflects just how ridiculous and unequal our society has become. The likelihood is that in the real world it is questionable as to whether or not he would be able to earn the minimum wage! Oh indeed he has worked hard and his family have supported him to a huge extent but neither he nor anyone else is worth that amount of money, when people all over the world are dying of hunger! No one could deny Hamilton is super fit indeed athletic but does his fitness and skill determine whether or not he will win the drivers’ championship! I would contend not! Being a racing driver is different to being a true athlete like Jessica Ennis Hill. Hill has risen to the top by training her body to give the best it can, Hamilton probably does the same, the difference however is that Hill does not make use of a piece of machinery on which millions have been invested to secure her titles! If you look at all the formula one drivers they are equally fit or more so when compared to Hamilton what separates these drivers is the cars that they drive! Looking back there have been several “procession” winners such as Michael Schumacher Sebastian Vettel and possibly in the future Louis Hamilton if Mercedes retain their superiority. In years preceding their winning streaks they were in second rate cars and on moving to the top car of the moment started to win and dominate racing! Conversely if Hamilton was to drive the current Force India car you can bet on the fact that he would not be on the podium, probably way down the field! It simply depends on the resources of the driving team and teams like Ferrari and Mercedes dominate because of their huge resources. Winning an F1 race says more about the team’s technology and financial muscle than it does about the skill of the driver! Yes Hamilton is a dedicated and skilful driver there is no question of that but a sportsman in the true sense of the word, never in a hundred years!